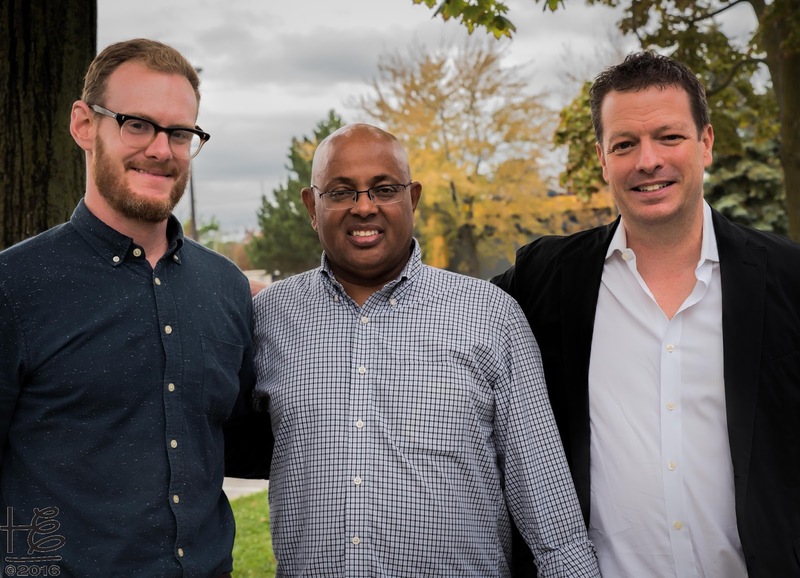 The Lambda Alpha International Simcoe Chapter hosted the Fall 2016 Toronto Land Economics Weekend (LEW) attracting a global contingency eager to learn about Toronto's history, challenges and accomplishments. With limited time, the LEW tours and presentations focused on downtown Toronto. Redevelopment plans-in-process are designed to craft a livable city for the increasing population. Lambda Alpha International (LAI) is an honorary society for the advancement of land economics. LAI provides a forum for the study and advancement of land economics where the "winnowing and sifting" of ideas takes place in an atmosphere of mutual respect. LAI operates through a network of chapters. A LAI Chapter provides a variety of programs and forums for its members to share information critical to understanding important land-use issues. 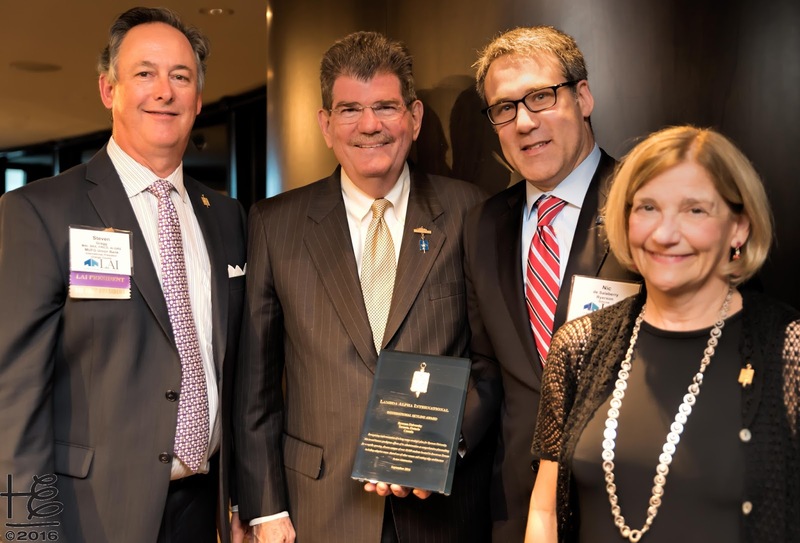 The IMPACT Blog article, Lambda Alpha International Atlanta Chapter: growing membership, influence and impact, introduces LAI along with its designated purposes. Twice per year chapters sponsor "Weekend Experiences" giving members an opportunity to meet and learn about land economic issues in cities throughout the world. Open to LAI members and their guests, the LEWs address wider international, national and regional issues and include project tours within the host city. With prime downtown location, the Le Germain Hotel Toronto on Mercer Street was a perfect host hotel for the Toronto LEW. The boutique hotel staff was committed to creating a lovely guest experience. Sustainability was core to the hotel's operations with in-room recycling bins, shower amenities in pump bottles, and educational material on minimizing the guest footprint during their stay. On Thursday, September 22 LAI Board & Executive Meetings were held throughout the day. 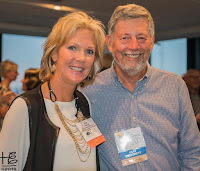 Elemental Impact (Ei) Founder Holly Elmore represented the LAI Atlanta Chapter as well as her new position on the International Public Relations & Communications Committee. 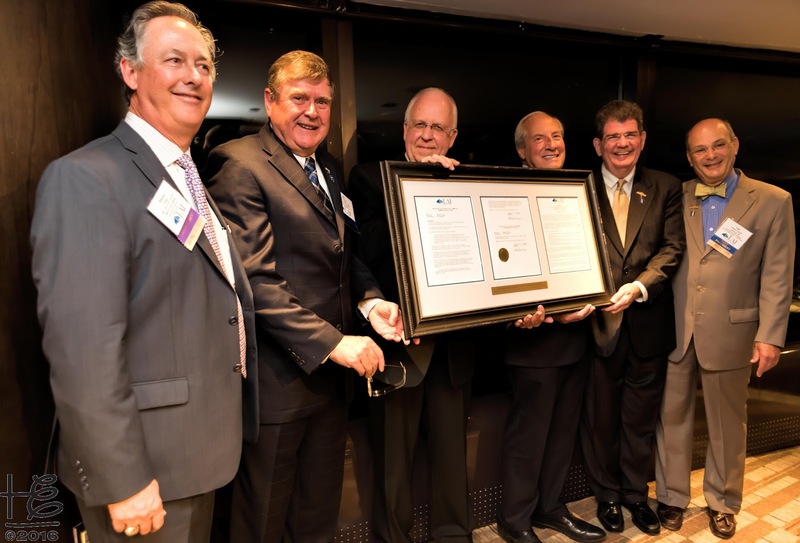 An evening President's Reception hosted at the TD Bank Tower in McCarthy Tetrault's 53rd Floor offices officially opened the Toronto LEW program. Good friends from across the globe were happy to reunite over a delicious buffet and open bar. 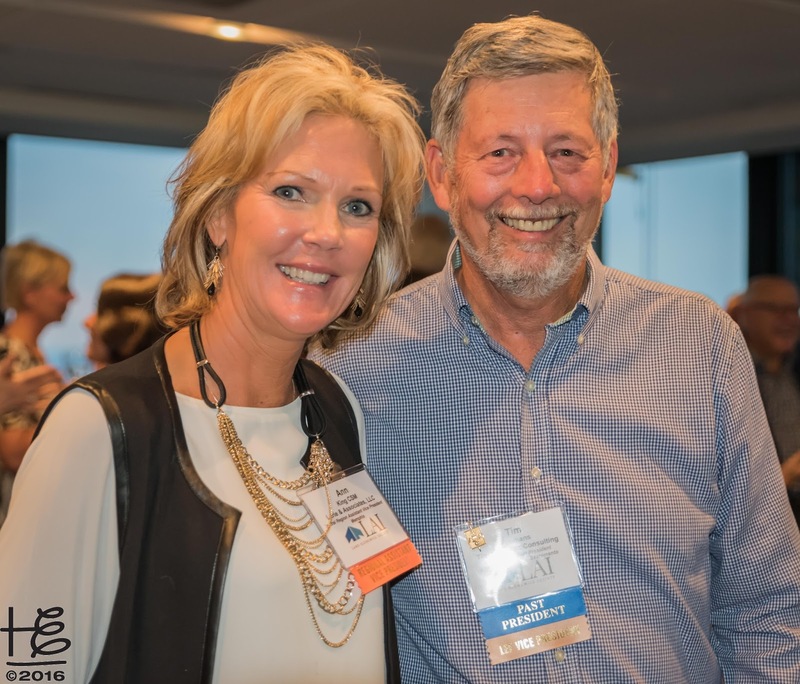 For first-time LEW attendees, the reception was an excellent welcome to the festivities. The Toronto LEW format included educational LEW Talks in the morning followed by late morning and afternoon tours. Co-LEW Chair Russell Mathew moderated the Friday morning LEW Talks along with his Results of our experiment opening presentation. Coupled with Urban Strategies Partner Joe Berridge's Toronto: an accidental metropolis subsequent presentation, Russell set the stage for the underlying LEW theme: crafting a livable city amidst staggering population shifts and growth. Sixth-most populous metropolitan area in North America (NA) and growing faster than any other NA city. More than 100,000 annual population growth since mid-1980s. Long history of immigrants and refugees with shifting demographics since 1980's; destination for 47.5% of Canada's immigrants. Economy diversifying yet still very industrial. Canada's centre of banking and business activity. English Canada's media and arts capital. 2016 PWC Cities of Opportunities report ranks Toronto in top tier along with London, Paris and Singapore. Toronto Pearson International Airport is the fastest growing large airport in the world. Best library system in the world. With an average of 100,000 new residents annually since the 1980's, Toronto is growing at a staggering rate. 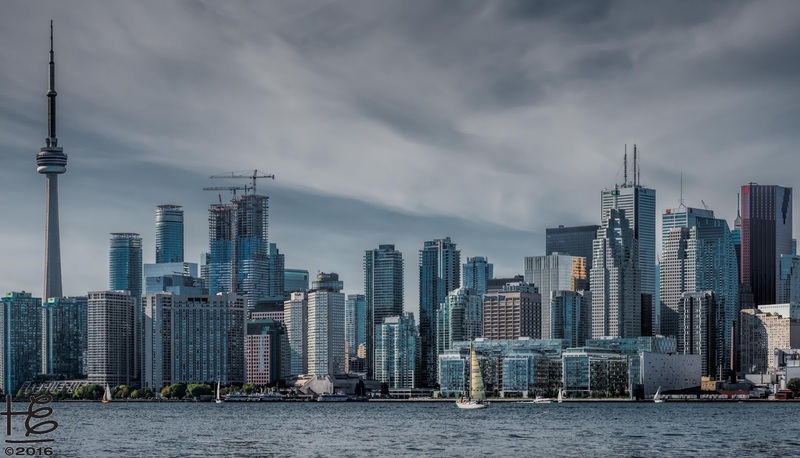 The current Toronto 2.5 million population is on target to reach an estimated 3.1 million by 2031; the metro area current 8.6 population is estimated to reach 15 million by 2031. In addition to the growth, Toronto's population profile is shifting. The 2011 CMA Immigration stats reveal a shift in the immigration population from mainly European and the Americas to Asian origin. Though only 24.8% of the total immigrant population, Asian country origin is 47% of the recent immigrants. An interesting validation is comparison of the phone book listings for Smith | Brown and Lee | Wong from 1940 to 2010. Almost non-existent in the 1940 phone book, Lee | Wong listings skyrocketed in the 1970's and by 2010 surpassed Smith | Brown as the predominant listed last names. Along with the growing, shifting population, Toronto housing preferences are changing, strongly driven by in town millennial residents. 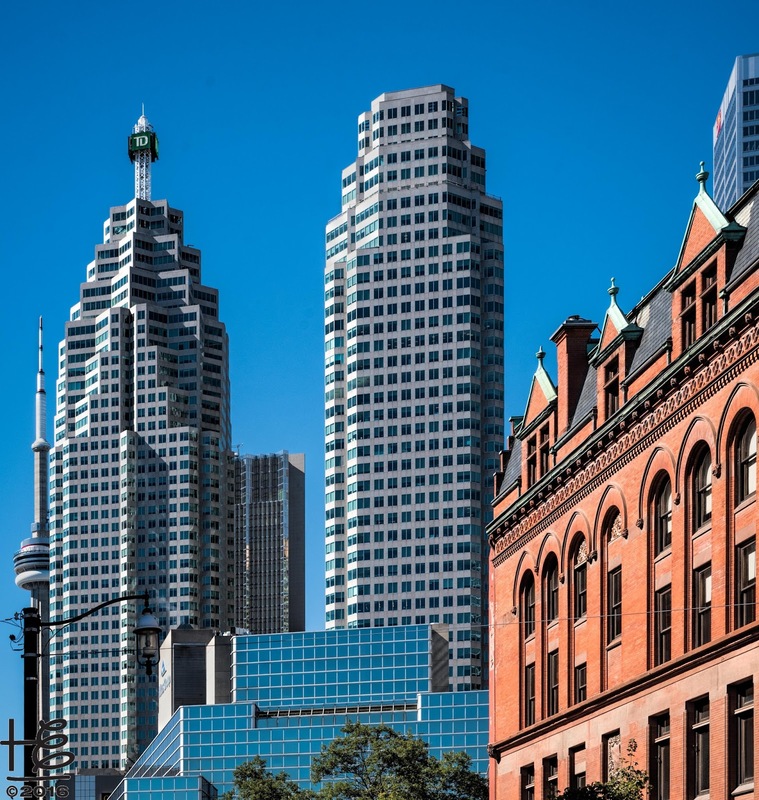 According to NBLC Partner Mark Conway's What’s driving the Toronto Condominium Market? LEW Talk, millennials are choosing to live downtown and embrace the urban lifestyle. Per Mark, millennials say NO to: traffic, sterile, commute, car-oriented and isolated. ... and YES to: transit, walkable, eclectic, inclusive and low maintenance. Thus, millennials are one of the strong drivers for the in town condominium market. An additional influence is the high cost of new detached housing. Since 2004, Toronto condominium average prices rose from under Can$300,000 to around Can$500,000. During the same time frame, new detached homes average prices rose from under Can$600,000 to around Can$2,000,000. The office market is following the young talent settling into downtown urban condominiums. Global corporations are consolidating their offices into the downtown market. 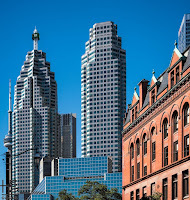 Coca-Cola, Cisco, Corus, Deloitte, Google and Telus recently consolidated their Toronto corporate offices within the downtown business district. Recent and ongoing transit investments influence the condominium and office building location. Although downtown Toronto has a solid condominium market, there is a shortage of affordable apartments for working class residents and recent immigrants. Toronto is facing the affordable rental market dilemma with a direct approach to provide housing for lower income residents. After lunch on the first LEW tour day the group boarded buses for a visit to Thorncliffe Park within the City of Toronto limits. 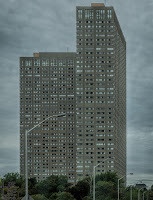 Built in the 1960's on a former racetrack, Thorncliffe is a cluster of high rise cement slab apartment buildings. Originally planned for 12,500 residents, Thorncliffe Park has a current population of 30,000, predominately recent Muslim immigrants from South Asia. The neighborhood is well served by 24-hour public transportation. 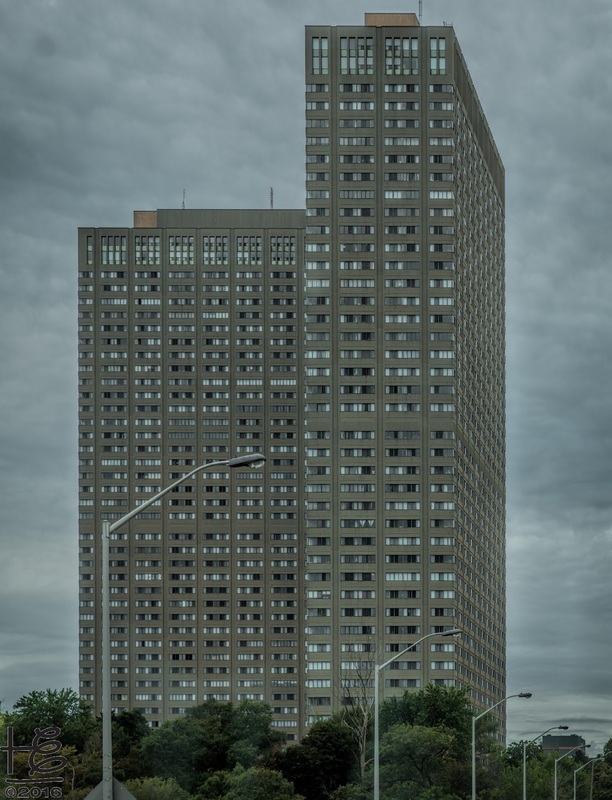 Privately owned (only one Thorncliffe building is publicly owned), the rental buildings fell into disrepair over the years due to a 1972 change in income taxes and the 1975 provincial rent control. For 40 years, building owners neglected maintenance and private rental construction nosedived. With the 1980's federal high-immigration policy and gentrification of inner city dwellings, tower cluster apartments were affordable housing for recent immigrants. Tower renewal is underway in Thorncliffe and other cluster communities to repair and upgrade buildings. 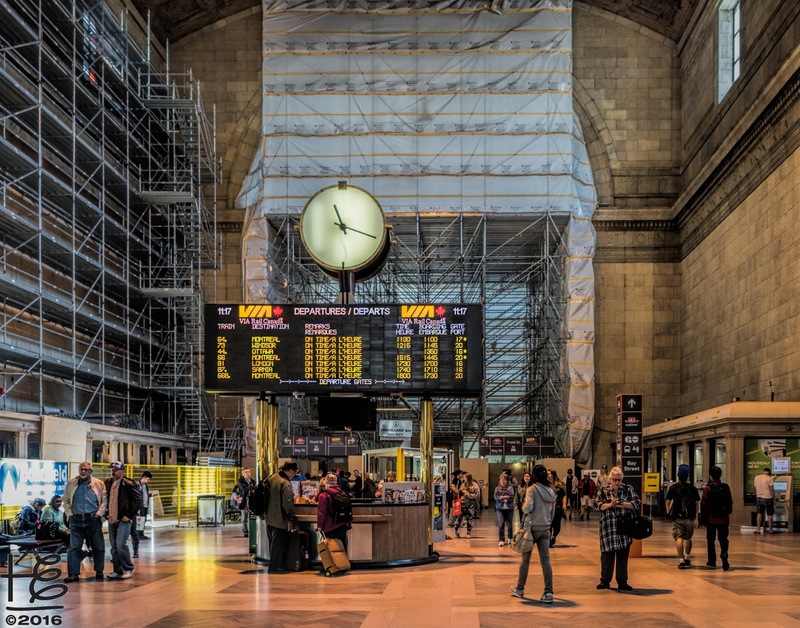 In addition, tower renewal addresses the shifting resident demographics to make better use of common area space as well as access to commercial businesses and schools. On the second full tour day, the LEW group was treated to peameal bacon sandwiches & an array of doughnuts - both local Toronto favorites - for lunch at Regent Park. Following lunch,Toronto Community Housing Corporation (TCHC) Senior Development Manager Kelly Skeith introduced the group to Regent Park, a TCHC initiative via a formal presentation followed by a walking tour. Owned by the City of Toronto, TCHC is responsible for 58,600 units in 2,200 buildings where 50% of the buildings are designated for 50+ years old residents. The TCHC budget is Can$2.6 billion to repair existing buildings. The Regent Park master plan is grounded in diversity. Buildings: townhouses, mid-rise & high-rise; Housing: subsidized intertwined with market rate units; Residents: immigrants, refugees, and Canadian citizens. Common grounds are filled with a large playground, a community garden, open space and a City of Toronto public indoor pool. A long-term plan, Regent Park plans include increasing the prior to revitalization population of 7,500 to 12,500 residents over a 15 - 20 year time frame. The plan consists of building renovation as well as new construction. Regent Park is an excellent example of collaboration among government, development and community partners. 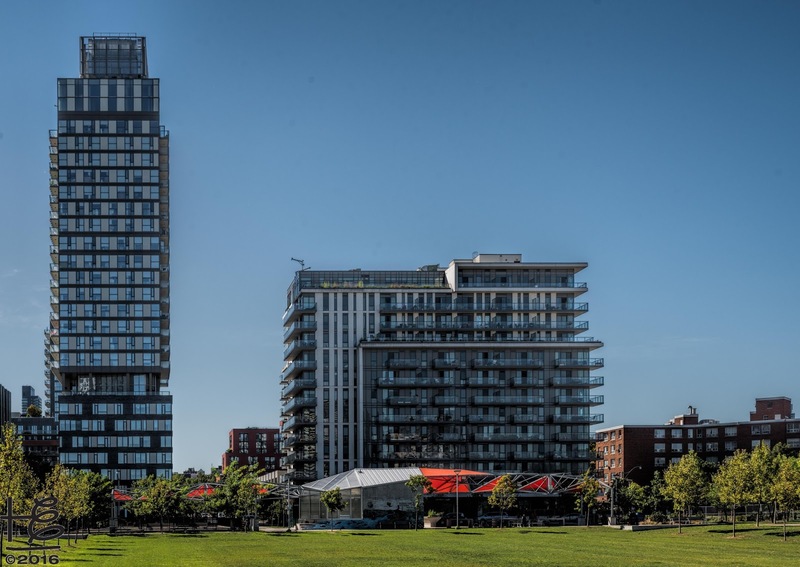 In addition to housing, Regent Park focuses on community development through a social development plan, community-based art, youth engagement and heritage commemoration. The neighborhood walking tours were led by community volunteers who gave the resident perspective to the Regent Park revitalization. In her LEW Talk Growth in livable future presentation, City of Toronto Chief Planner Jennifer Keesmaat addressed Toronto's growing pains and the challenges facing downtown. In TOcore - Planning Toronto's Downtown six challenges are detailed: 1> balanced growth & infrastructure, 2> demographically inclusive communities, 3> local mobility & regional connectivity, 4> resilient water and energy systems, 5> healthy office, institutional & retail sectors, and 6> abundant quality parks & public spaces. Downtown transportation intertwines within at least 50% of the challenges, either directly or indirectly. Toronto's plans to take public transportation underground ties into challenge #1 (building balanced infrastructure), #3 (mobility & connectivity) and #5 (connecting employees | customers with offices & retail). Bloor-Yorkville BIA Executive Director Briar de Lange's Bloor Street Transformation Project LEW Talk gave an excellent overview of the aggressive, successful project. Working in tandem with the municipality during the replacement of antiquated underground water mains, Bloor Street was transformed into a well planned, pedestrian friendly area complete with sidewalk floral decor, numerous trees, and ample benches. ... and Bloor Street's Mink Mile status was reclaimed! Jennifer ended her presentation with slides on Rail Deck Park, a planned 21-acre park in the heart of Downtown by decking over the rail corridor. Thus, challenge #6 (parks & public spaces) is also addressed via a transportation-related project. Beyond one of the best public school systems in the world, Toronto boasts three major universities: York University, University of Toronto and Ryerson University (RU). On the second tour day, former RU Executive Lead Elisabeth Stroback and RU Director, Capital Projects & Real Estate Nic Del Salaberry co-presented The university is expanding LEW Talk. Ryerson University thrives on change. As Ryerson is interwoven with established and emerging communities, continually evolving retail hubs, modern civic spaces and historic streets, it is both a partner and a leader in realizing positive change in downtown Toronto. This institution is porous, overlapped and inseparable from the evolution of its neighbours and partners. Goal #1: Urban Intensification - the Daphne Cockwell Health Sciences Complex (completion 2018) combines student housing, academic uses, retail and pedestrian connections. Result: transformation of an underutilized lot into a vertical campus. Goal #2: People First: Pedestrianization of the urban environment - a student-driven initiative successfully closed a segment of Gould Street to vehicle traffic, creating a natural relationship with the active ground floor of the Image Arts Building and Ryerson Image Centre. The area is perfect for the Gould Street Farmers Market and other pedestrian-oriented activities. RU intends to proceed with further efforts on Gould Street and other public realm key areas. Goal #3: Commitment to Design Excellence - inherent within the design commitment are projects that raise the standard of what a public institution can be. The RU Student Learning Centre design prioritized student needs while openly engaging with its surroundings and earned a host of international awards. The Images Arts Building outside lighting features and the Image Centre exterior photo exhibits are reminders of the inspiration within university life both inside and outside of buildings. Repurposing the historic Maple Leaf Gardens into the mixed-use Mattamy Athletic Centre demonstrated a sensitivity to cultural history and underscored the RU connection to the surrounding community. With minimal campus housing due to limited land, RU contracted with a developer to build a 600-bed student residence. Once complete in summer 2018, RU will provide the student administration and residence life services for a fee. Innovative partnerships solve urban campus challenges and set RU apart as an industry leader. At the evening LAI Awards Dinner, Nic accepted the prestigious LAI Skyline Award on behalf of Ryerson University. The award recognizes noteworthy and commendable instances of the practical application of the principles of land economics in the preservation, development or utilization of our land resources. Nominated by the Simcoe Chapter, the LAI International Awards Committee evaluates and approves Skyline Award recipients. A core attribute of a livable city, culture is a driver for attracting an educated, professional citizen base with disposable income. In addition, cultural events bring tourists, including metro area residents, to the downtown district for entertainment, dining and simple enjoyment. 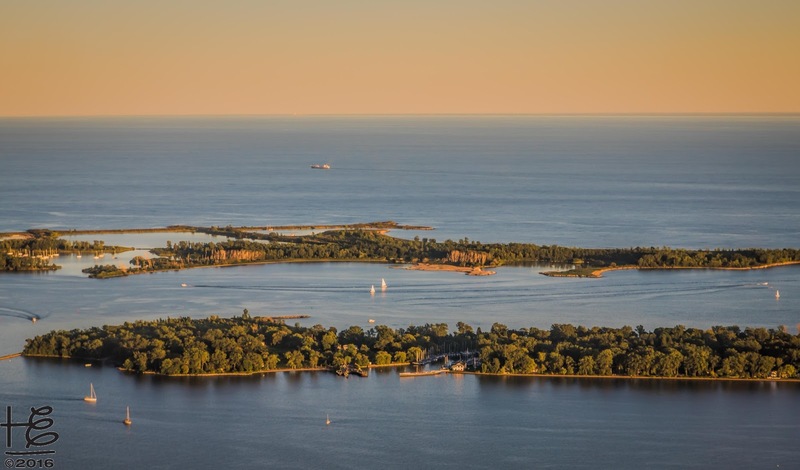 Toronto is blessed with an array of cultural flavors ranging from The Blue Jays to the St. Lawrence Market to the eclectic Kensington Market area to The Toronto Islands & the Lake Ontario shoreline. In addition, Toronto is home to the Toronto International Film Festival (TIFF) - per Time (2007): the most influential film festival, period. In 2010, the TIFF Bell Lightbox (TBL) - a 42-story mixed-use complex located in the Entertainment District - opened as TIFF's permanent home. The Reitman Family (director & producer Ivan Reitman directed the original Ghostbusters movie) donated the land. Most of the additional funding came from a joint venture with Daniels Corporation to develop Festival Tower, a 373-unit condominium project above TBL. After the first day LEW Talks, the group walked around the corner from the hotel for a TBL tour. 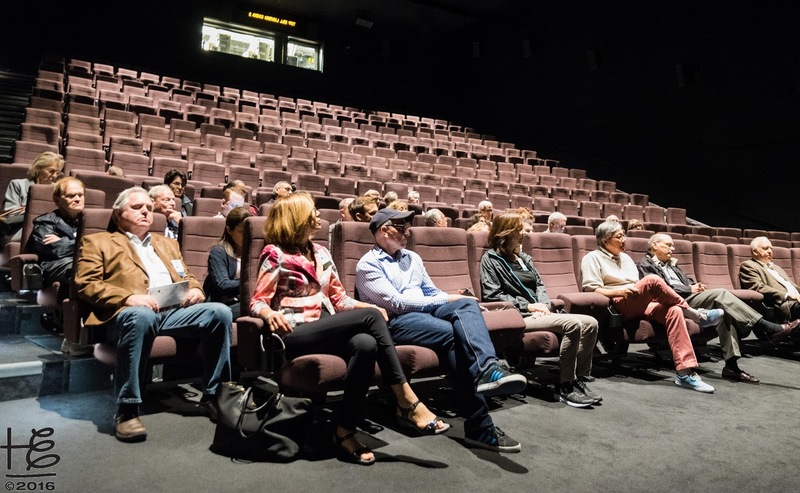 Impressive, the TBL opens into a five-story atrium and houses five cinemas, TIFF's administrative offices, a film reference library, and galleries. TIFF's commitment to sound integrity is astounding. In the cinemas, the design was crafted to maintain the original sound designated by the director as well as prevent exterior sound contamination. When an individual views a film at TIFF, no sound adjustment is permitted from the original soundtrack. 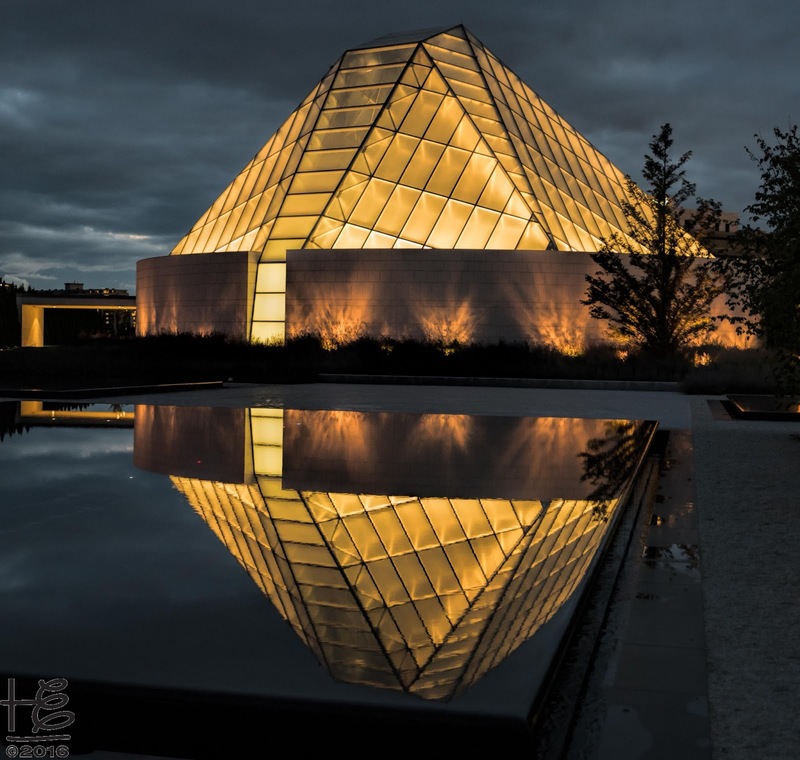 The first tour day ended at the Aga Khan Museum, located in the Toronto suburbs. When Ismaili Muslims were expelled from Uganda by Idi Amin in 1972, their spiritual leader the Aga Khan appealed to the Canadian government for help. In the first wave, about 6,000 refuges arrived and established a strong Ismaili community. In 2002, the Aga Khan assembled property to build the Museum, the accompanying contemporary Persian gardens, and the adjacent Ismaili Centre. Per the website, the Aga Kahn Museum mission is to foster a greater understanding and appreciation of the contribution that Muslim civilizations have made to world heritage. Through education, research, and collaboration, the Museum will foster dialogue and promote tolerance and mutual understanding among people. In alignment with its mission, the Museum is home to a diverse Permanent Collection of more than 1,000 objects. An ever-changing roster of exhibitions and innovative programs including music and dance performances, theatre, lectures, workshops, and film screenings are presented at the Museum. Following privately guided Museum and grounds tours, the LEW group was treated to a delightful dinner at Diwan Restaurant on the Museum ground floor. 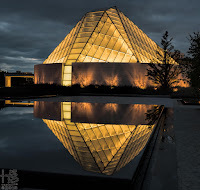 As the evening progressed, the Ismaili Centre lit up as the Sun set creating a Divine view while dining. LEW Co-Chair Leslie Yager moderated the second day LEW Talks with speaker introductions via clever, fun rhymes and set the perfect tone for the day! City of Toronto Urban Design Manager James Parakh's POPS culture LEW Talk presentation left the group in awe of Toronto's commitment to crafting a livable city. POPS - Privately Owned Publicly-Accessible Space, creative place making to enhance urban life - are integral to a downtown filled with public green space available for residents, the downtown work force, and tourists. Maintained by the private sector, over 100 POPS are currently mapped in Toronto. POPS are designed to complement existing and planned publicly owned parks, open spaces and natural areas. Places of retreat, relaxation, respite. Places for social gathering & interaction. Places to engage in civic life. 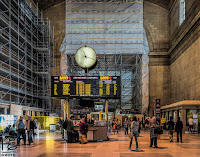 Places to view public art. The governing principle for the Percent for Public Art Program is that art is a public benefit to be enjoyed and experienced by residents and visitors throughout the city. The privately-owned art is intended to make buildings and open spaces more attractive and interesting and to improve the quality of the public realm. The Program requires that the artwork must be clearly visible at all times from publicly accessible areas. Alternatively, City Planning may seek public art contributions to be directed to City-owned public lands. Included in the cultural experience is the preserving of historical structures along with integrating history within contemporary development. Toronto is an excellent example of recognizing historical value within their current city planning and downtown development. After the second day LEW Talks, the group was treated to a meandering downtown walking tour hosted by local LAI Simcoe Chapter members. 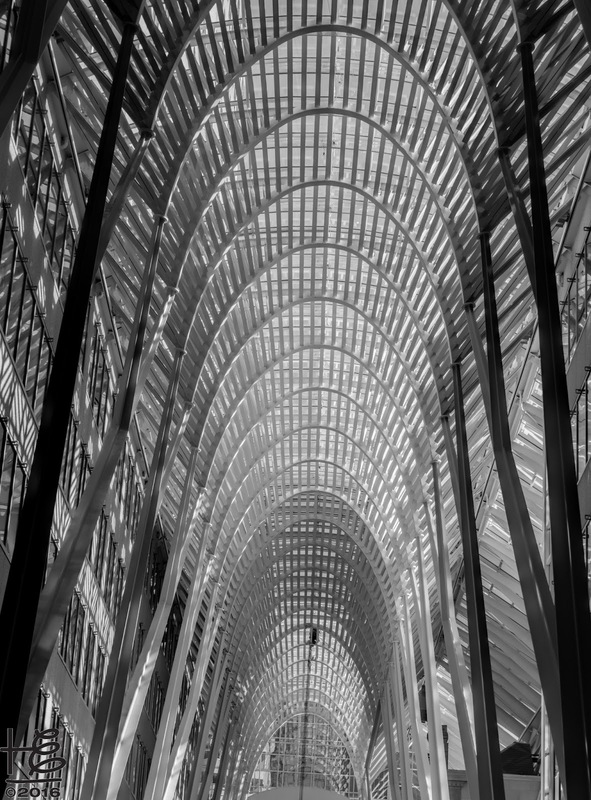 The tour included under renovation Union Station, The Royal York hotel, the Brookfield Place & Santiago Calatrava's stunning parabolic Galleria, and ended at the iconic St. Lawrence Market. Buses awaited the group at the St. Lawrence Market for the day's remaining tours. 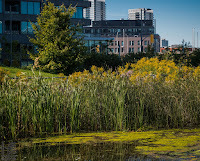 The final second day tour destination was Corktown Common (CC), 2013 LAI Skyline Award recipient. 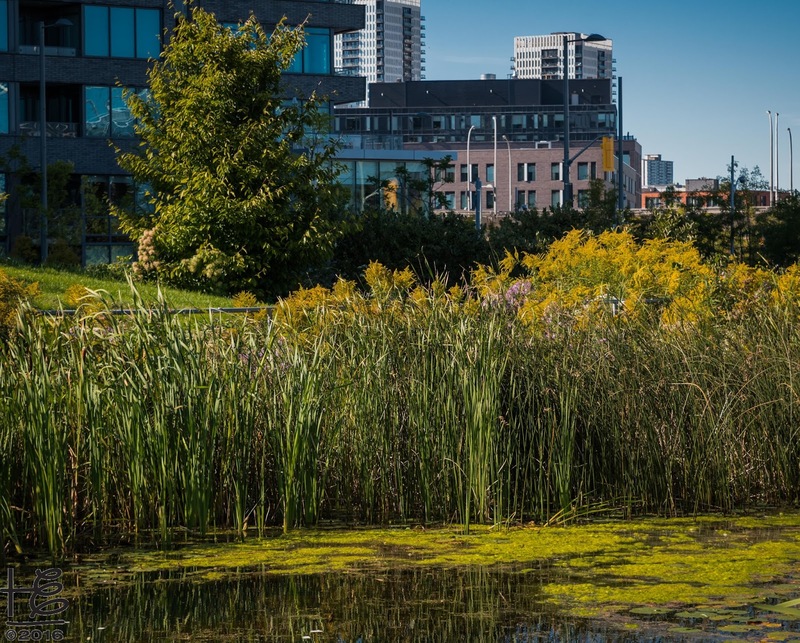 Opened in 2013 as a part of Waterfront Toronto's revitalization, the 18-acre CC serves diverse purposes including flood protection for 500 acres of Toronto's eastern downtown, brownfield reclamation from prior industrial uses, and public green space including a pavilion and fountain. Dedicated to sustainability, the pavilion and fountain electricity is solar powered. Storm water reclamation is used for irrigation. Wetlands and other park areas are designed to return CC to its ecological heritage. While at CC, Derek Goring with First Gulf educated the LEW group on East Harbour, Canada's largest current commercial project. First Gulf is East Harbour's developer. With impeccable timing, the LAI Global Chapter hosted an October 2016 WHAT MAKES OUR CITIES LIVABLE? A global view of what can be learned from the urban experience webinar presented by Ascent Director of Design and Planning Allen Folks. Although the webinar was Asian city-focused, it was inspiring to witness how Toronto aligns within Allen's prescription for a livable city. In fact, The Economist lists Toronto as the fourth most livable city in 2016, only behind Melbourne, Vienna and Vancouver. 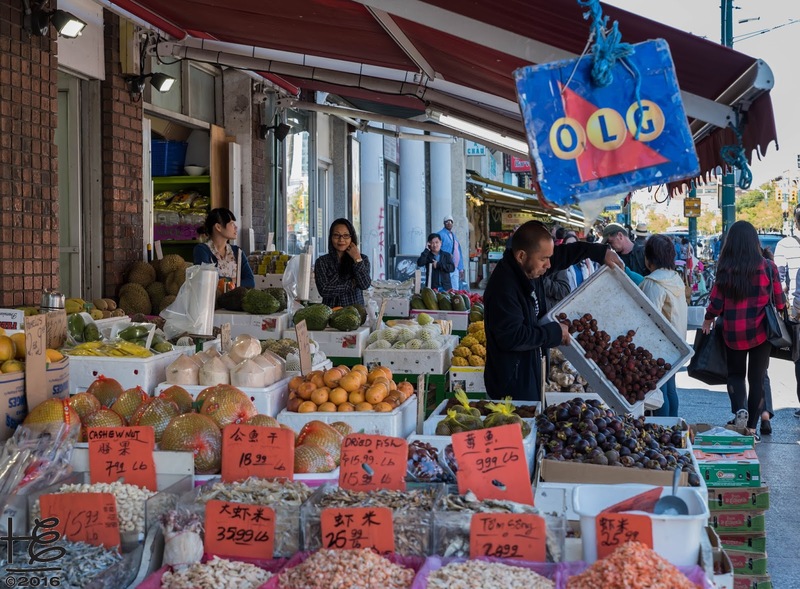 Toronto's growing global population, supported by efforts to welcome and integrate immigrants into the local culture, and substantial investments in affordable, urban housing complement Allen's livable city criteria. The focus on public transportation, a defined downtown plan, and ample public accessible green space and artwork are important ingredients for a livable city. Corktown Common's multifaceted purpose is a perfect example of the sustainability component in Allen's presentation. Consistent with protocol, the Toronto LEW closed with an Awards Dinner hosted at the CN Tower Horizons Restaurant; the sunset over the Lake Ontario was magnificent! After a fabulous reception, LAI Simcoe Chapter President Bronwyn Krog gave welcoming remarks. 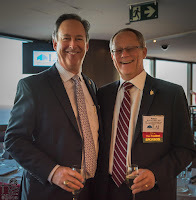 Next LAI President Steven Gragg bestowed the high honor of International Fellow upon LAI Past President, Strategic Plan Chair & Council of Presidents Chair Ian Lord of the Simcoe Chapter. An International Fellow is an active member whose efforts significantly advanced the purposes, organization, or growth of LAI. Ian's family attended the Awards Dinner and his lovely wife Lori fastened the prestigious Fellow pin on Ian's lapel. Each of the International Fellows in attendance congratulated Ian at the podium with a friendly roast filled with compliments. After dinner, LAI Awards Committee Chair Jim Fawcett (International Fellow & Past President) facilitated the Skyline Award to Ryerson University and International 2016 Member of the Year to Cheryl Soon of the Aloha Chapter. Cheryl serves as LAI Secretary. 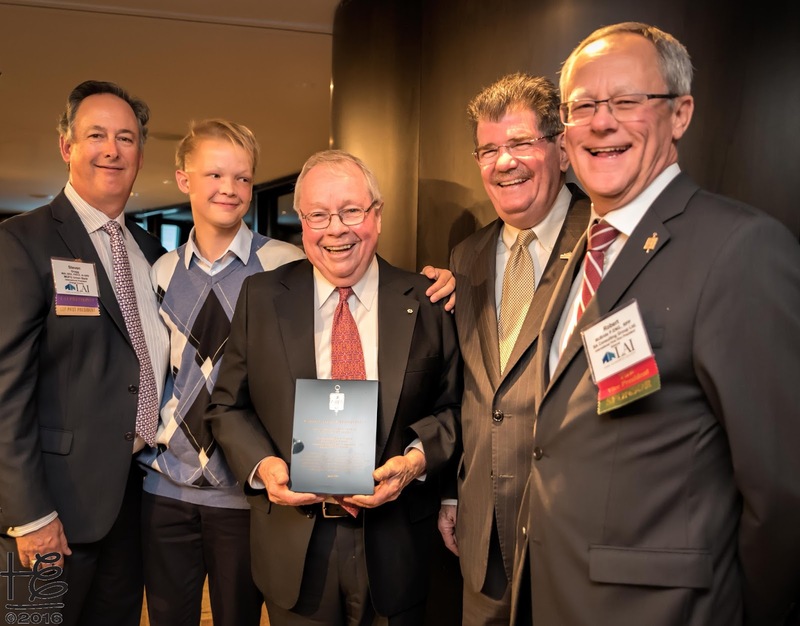 The Honorable David Crombie received the 2015 Urban Affairs Award. 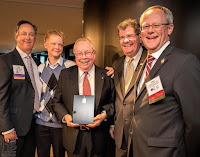 At the Awards Dinner LAI First Vice-President Robert McBride presented Mr. Crombie with the physical award accompanied by a long list of impressive accolades. From his six-year tenure as Toronto Mayor in the 1970's to his numerous prominent federal appointments in the international arena to his vital role in the formation of Toronto Waterfront to his 2015 appointment by the Premier of Ontario to lead a panel to look at the Greenbelt Plan, the Oak Ridges Moraine Conservation Plan, the Niagara Escarpment Plan, and the Greater Golden Horseshoe Growth Plan, Mr. Crombie's urban affairs contributions are astounding. Isak Nes accompanied his grandfather Mr. Crombie to the Awards Dinner. 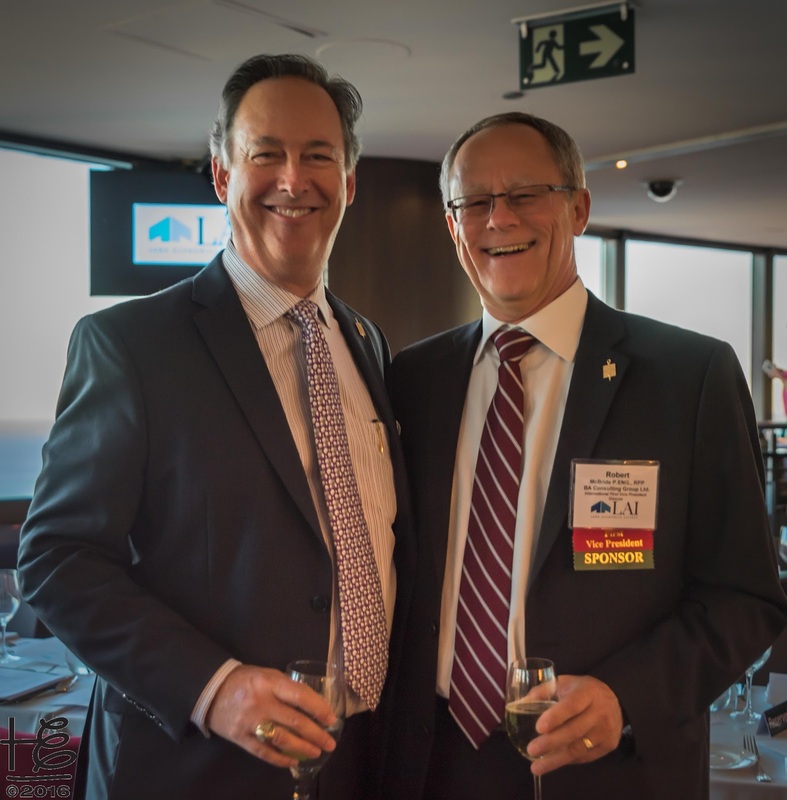 The final formal "business" was an appreciative farewell to the Toronto Fall LEW along with a hearty welcome to the Philadelphia Spring LEW, scheduled for April 27 - 29, 2017. Congratulations to LEW Co-Chairs Russell Mathew | Leslie Yager and the entire LEW Committee for orchestrating an excellent, well planned visit to Toronto. Beyond educational, the tours were an opportunity to witness Toronto's success at crafting a livable city amidst staggering population growth and shifts. 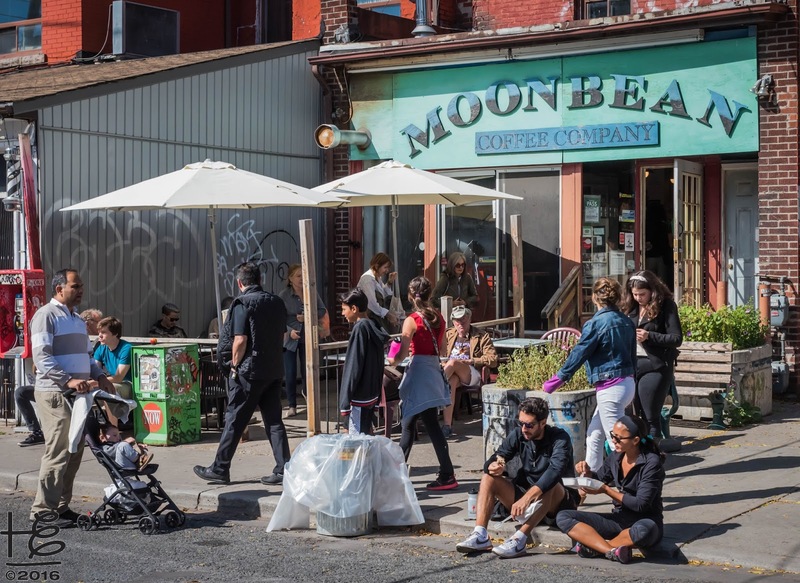 Though Toronto may be an "accidental metropolis,"crafting a livable city is no accident; it requires commitment, planning and investment by the government, private enterprise and community towards common goals. Kudos to Toronto leadership for bringing visions to reality! The Ei FB album, Toronto Land Economics Weekend, is a pictorial recount of the LEW, along with a section on Holly's self-guided walking tour. Unless otherwise noted photographs were courtesy of Holly. LEW Talk PPT presentations are available for viewing on LEW Scribe Reports page. Note the page is available to LAI members only. In addition to well orchestrated tours of a city's economic drivers, complete with in-depth, on-site education, LEWs are excellent venues to meet new global friends and spend time with long-term colleagues.... and the Philadelphia Spring 2017 LEW is a mere six months away! Informative post! I really like and appreciate your work, thank you for sharing such a useful facts and information about learning and development skills. Homefindernet.ca is a great website for home buyers to look for houses for sale and Condos for sale in Greater Toronto Area. It is also an easy to use online platform for home sellers to find sold history in their neighbourhood and get home valuation.